Monrovia – The University of Liberia Pacific Institute for Research and Evaluation (UL-PIRE in collaboration with the Ministry of Health with support from COUNTDOWN which is a vibrant multidisciplinary implementation research consortium engaged with national Neglected Tropical Diseases (NTDs) programmes has ended a one-day dissemination meeting. The meeting shared findings with stakeholders on the results of the research conducted on Neglected Tropical Diseases Program Mass Drug Administration. Findings reflected on challenges at the community, county and national level related to the health workforce, community awareness and programme partnerships. The meeting is intended to sensitized policy maker of the Ministry of Health, Line Ministries MOE and MOA, NGO communities about the challenges that has been discovered for mass drug administration for priority prioritized neglected Tropical disease in the country. Group work during the meeting also supported in developing solutions to the challenges identified. 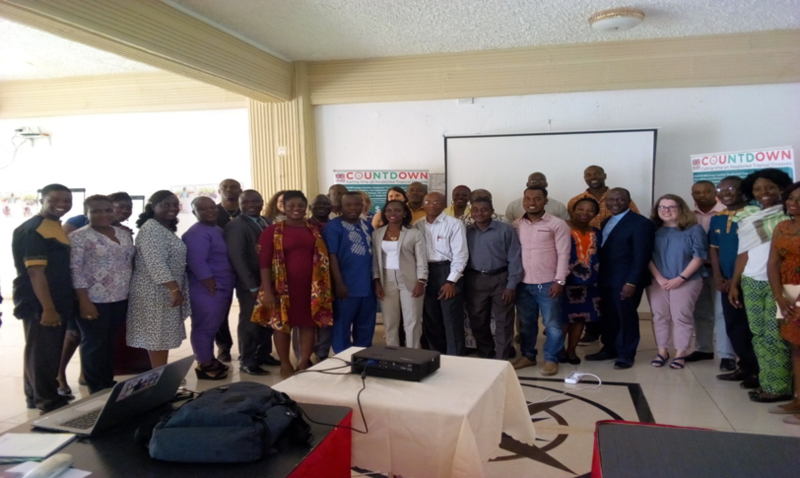 COUNTDOWN Consortium conducted the meeting recently at the Corina Hotel in Monrovia under the theme: National Dissemination Meeting on Social Science Research on NTDs”. Speaking at the meeting, The Director of COUNTDOWN, Racheal Thomson of the Liverpool School of Tropical Medicine (LSTM) said that COUNTDOWN remain committed in the fight against Neglected Tropical Diseases elimination and Control in Liberia. Meanwhile, the Social Science Lead, Georgina Kpateh Zawolo said the initiative is aimed at ensuring that NTD is tackled through the collaborated effort of all stakeholders in the country and the research result aim to guide the NTDs Program in Liberia for the implementation of Mass Drug Administration. Zawolo added that the result of this research will also enhance its collaborative and integrated approach to NTD programs delivery projects. Madam Zawolo added that NTDs are major health issues affecting the country, adding that NTDs control and elimination programs will target onchocercaisis, lymphatic filariasis, soil-transmitted helminthes and schistosomiasis are essential for the country’s health sectors. At the same time, Madam Zawolo said Neglected Tropical Diseases (NTD) are the most common disease that affect the poor, rural and often marginalized members of society. She named Preventive Chemotherapy (PC) as one of the strategy that is being used through mass drug administration (MDA) to eliminate and control neglected tropical diseases. Madam Zawolo noted that inter-departmental working within the Ministry of Health (MOH) for the control and elimination of NTDs is essential for the country, particularly in the sharing of technical information and program planning. She averred that there is a need to improve the communication of policies and strategies to lower levels of the health sector to ensure appropriate monitoring, support and reporting on NTDs. COUNTDOWN Liberia is a multi-disciplinary research consortium dedicated to investigating cost-effective, scaled-up and sustainable solutions to control and eliminate the seven most common NTDs by 2020 in the country. The group is involved in producing evidence to contribute to reducing the morbidity, mortality and poverty associated with NTDs through knowledge base approach and increasing the reach of NTD treatment in different context.